Skulk - great word! I'll have to read this especially on the tail of the SCBWI-TdP contest. Thanks, Andrea! 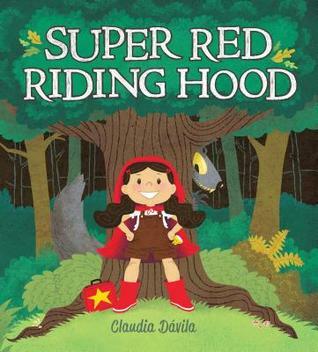 Kids will love a super hero in Red Riding Hood. It sounds very entertaining. You have some really great follow-up activities that encourage imagination. Loving fractured fairy tales as much as I do, I can see I need to add this book to my list. Skulk is one of my favorite words. And girl power is also a favorite. Must check this book out. Thanks for highlighting! I'll look for this one. I especially like the idea of exploring what it means to be an everyday hero. Thanks for sharing another fractured fairytale. Endless possiblities. I Love how you separated the reasos you loved this book by what it meant for you as a writer and as a teacher. And think I may adopt this style of review. Great article! I truly miss working with the younger crowd, I must say.